Volunteers from the Kheir Zaman local supermarket sell a kilogram of sugar for 7.50 L.E. (0.84 US cents), in the Sayeda Zeinab neighborhood of Cairo, Egypt - October 26, 2016. A week ago the International Monetary Fund approved a $12 billion loan to Egypt as the country slips into a perilous economic situation created by a declining currency, food shortages, and a strained relationship with a chief benefactor – Saudi Arabia. The fraying of the alliance between the two most influential Sunni nations is unfolding amid increasing sectarianism across the region. And the potential loss of Saudi support could hardly come at a worse moment for Egypt, whose economy is crashing amid a devaluing of its local currency, reduction in imports, and tourism tailspin. Under Prince Mohammed, Saudi Arabia is going through a period of muscular nationalism and is trying to assert its weight as a Sunni regional power, particularly in trying to counterbalance Shiite Iran. That has created a sense of wounded pride among Egyptians, who have long thought of their nation as the leader of the Arab world. They tend to be uncomfortable with their economic dependence on Saudi Arabia and sometimes dismiss the Saudis as oil-rich upstarts. Landis says Saudi Arabia could be using these political differences with its neighbors (it also cut $3 billion in aid to Lebanon due to disagreements with a Christian, pro-Syrian president) as an excuse to cut back on its own overspending. Egypt’s appeal to the IMF means more belt-tightening, in the form of cuts to subsidies on commodities like sugar, wheat, and petroleum. “People today in Egypt are paying 100 percent more for sugar. And they’re screaming,” Landis said. The sugar crisis, as it is known, has quickly become shorthand for the brewing anger against President Abdel Fattah el-Sisi’s management of the economy and his overall rule. “The people are going to snap,” Ahmad el-Gebaly said as he turned away customers seeking sugar he did not have at his subsidized-goods store in Bulaq, a working-class neighborhood of Cairo. All of this unrest has the U.S. concerned, and Landis said we could be seeing the start of another wave of Arab Spring-like hostility. 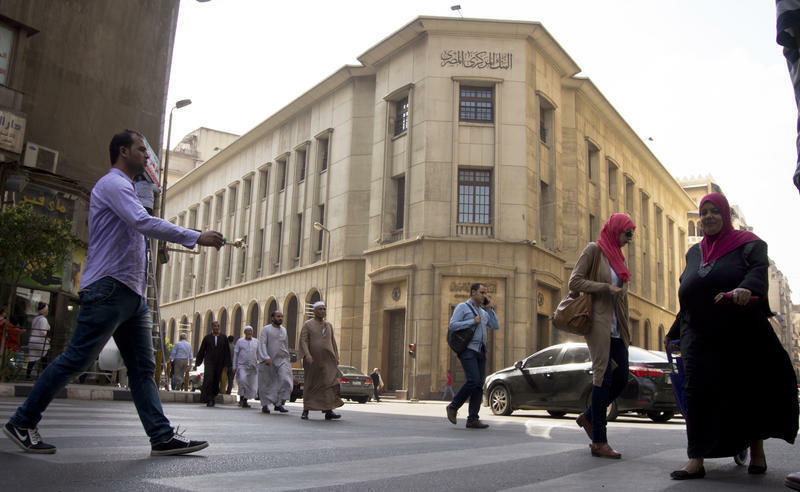 The International Monetary Fund has given its final approval for a $12 billion bailout for Egypt over the next three years. The funding, which is aimed at boosting investor confidence in the region's most populous country, comes after the government imposed a series of austerity measures. The IMF said the program "will help restore macroeconomic stability and promote inclusive grown." According to The Associated Press, Egypt is set to "receive a first installment of $2.75 billion immediately." It’s been almost 13 months since the coup that ousted Egypt’s first democratically elected president Mohamed Morsi. Since then, there’s been a great deal of violence that accompanied the transition leading to the inauguration of Abdel Fattah el-Sisi on June 8. A court in southern Egypt Monday convicted 529 supporters of ousted Islamist President Mohammed Morsi, sentencing them to death on charges of murdering a policeman and attacking police. The defendants were arrested after violent demonstrations that were a backlash for the police crackdown in August on pro-Morsi sit-ins in Cairo that killed hundreds of people. NPR assigned correspondent Kelly McEvers to Iraq in 2010 with instructions not to miss a day ahead of the expected troop withdrawal by the end of 2011.